If you want to gauge exactly how much the FGR knows about college basketball this year, take the amount of our golf knowledge and cut it in half, then divide that number by 3. The resulting number represents roughly twice our knowledge. With the exception of games involving the Terps, we probably watched about two total hours of college hoops and most of that was devoted to the end of Duke games that they were losing. 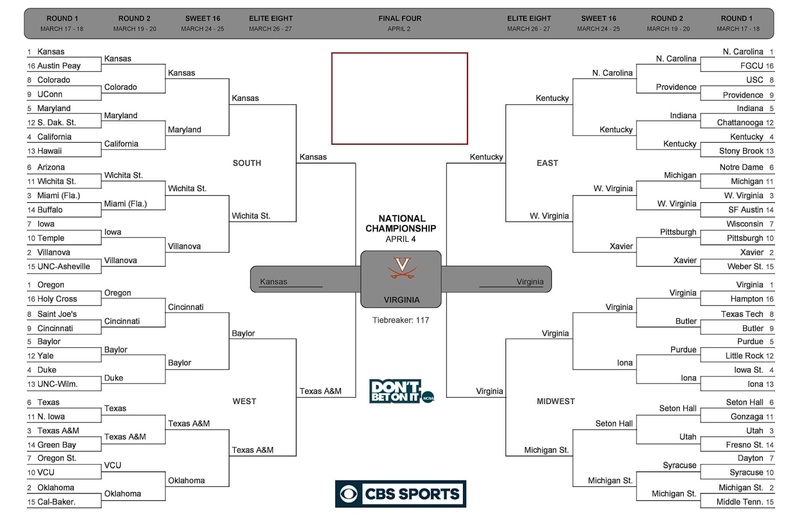 So based on that foundation, here is how we see the tournament shaking-out. 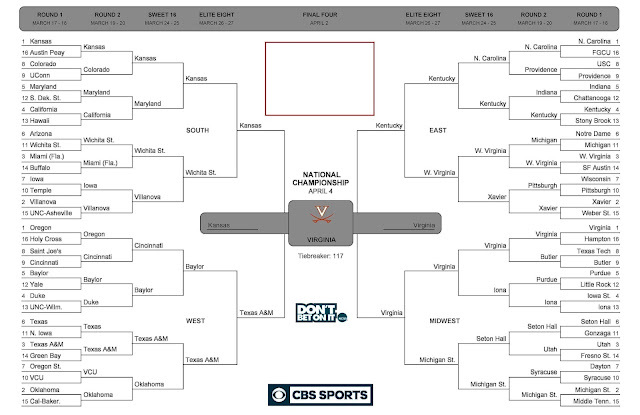 Note that we went into this with two objectives: (1) Take Duke out early and (2) find a winner other than Kansas, North Carolina or Michigan St. They are a lot more vulnerable than people think as evidenced by their fifteen combined losses (when was the last time the top three had that many?) and there is way too much love flowing in their directions. In case you think there may be some hidden allegiance behind our championship pick like it's the alma mater of our favorite uncle, just know that if picking Duke makes us feel like we need to set ourselves on fire, picking Virginia makes us feel like we need to take a radiation shower. It burns!! !